Tottenham is one of several small communities that make up the town of New Tecumseth in Ontario’s Simcoe County. Located north of Highway 9 and south of Alliston, Tottenham is surrounded by farmland and features vast greenspaces including the Tottenham Conservation Area. The community is growing rapidly and is being developed by several new subdivision builders. Our crews are often in Tottenham, working for longtime locals and new residents alike. 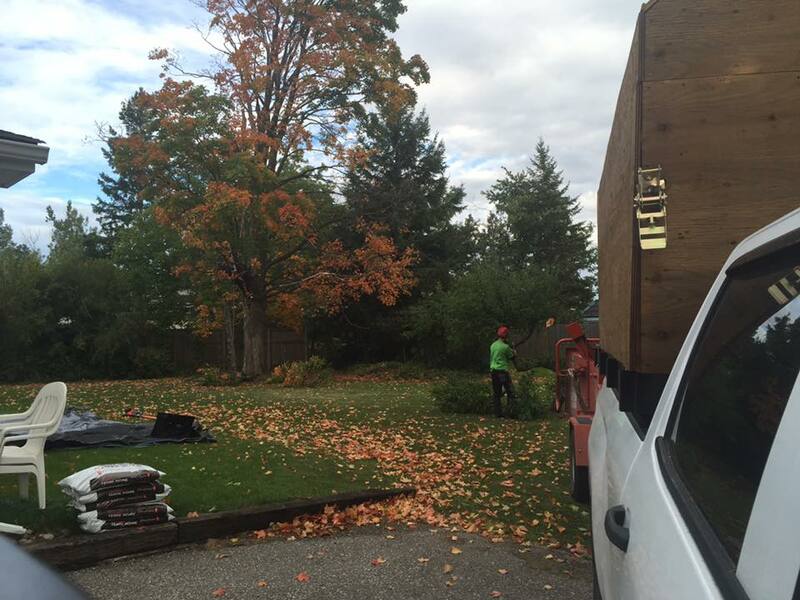 Our Tottenham tree service includes everything from regular tree pruning to large tree removals. We understand that tree removal is discouraged by Tottenham’s bylaws and strive to save your trees when possible. 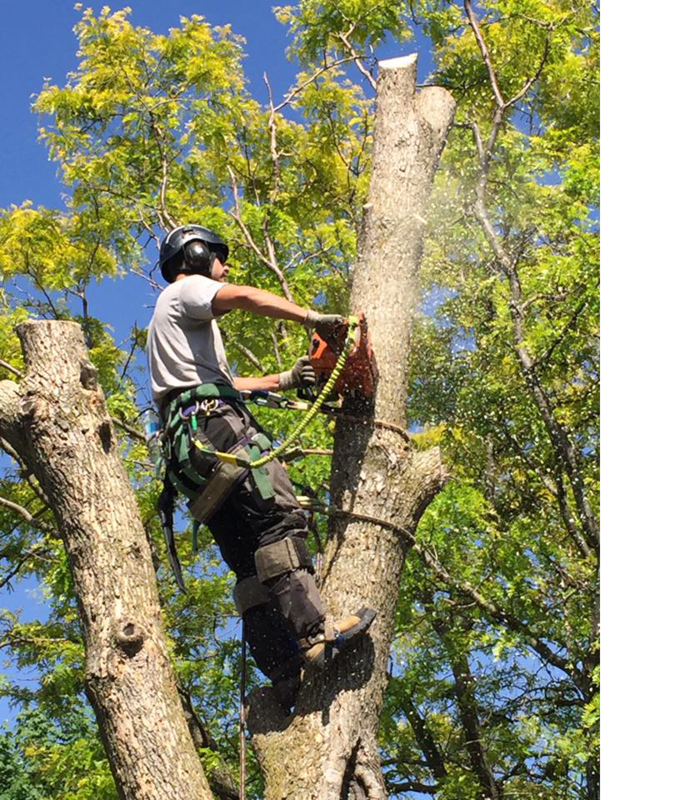 If a tree removal is required for the health and safety of your family and property, our tree service has the equipment and skill for removals of all sizes! Over the past several years Tottenham has been hit by devastating winter ice storms. In early 2016, an ice storm left a third of New Tecumseth residents without power and worsened driving conditions in Tottenham. These fierce storms can cause power outages in your home and chaos on the road, but they also severely damage trees. As heavy ice weighs down, branches can break and trees can fall causing extreme damage. Even if damage isn’t evident immediately, weakened tree limbs can break or fall months later. Regular pruning by a professional tree service is the best way to protect your property from tree damage and its effects. While well-maintained trees better withstand storms, if a tree falls on your property – whether from storm damage or any other reason – our Tottenham tree service can handle the job! With our office just 45 minutes away, you can count on Sequoia TreeScape even in an emergency! Our professional, trained and insured crews have decades of experience in the landscaping industry. If you’d like to enhance the beauty of your property, please contact us online or by phone at (416)-770-8733 for a free consultation and estimate.